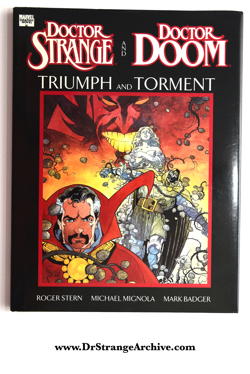 Publisher: Marvel Entertainment Group, Inc. 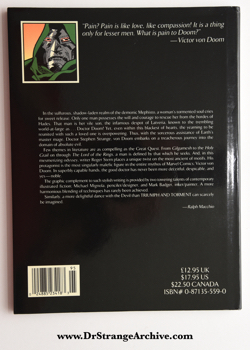 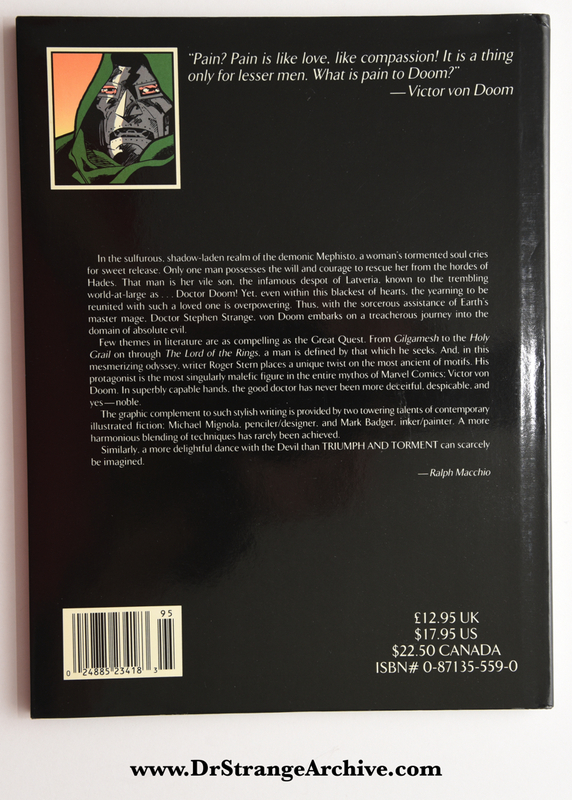 Description: This is a great hard cover graphic novel with Doctor Strange and Doctor Doom. 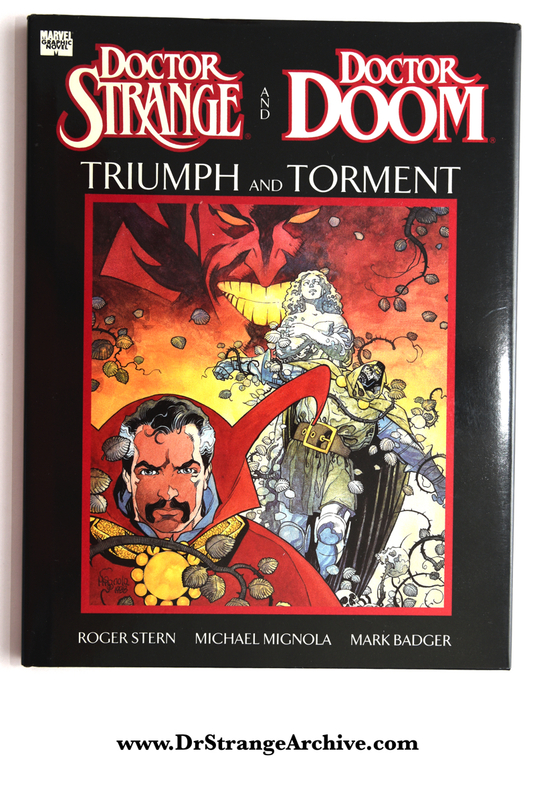 Michael Mignola does the pencil art, Jim Novak is the letterer and Mark Badger is the ink and color artist.